The town of Trikala is an exemplary destination - as far as natural beauty is concerned - and pinpoints numerous top attractions which will inspire you to discover them through repeating visits. The brand new Ananti City Resort was created a few months ago and automatically became a pole of attraction for both locals and visitors. 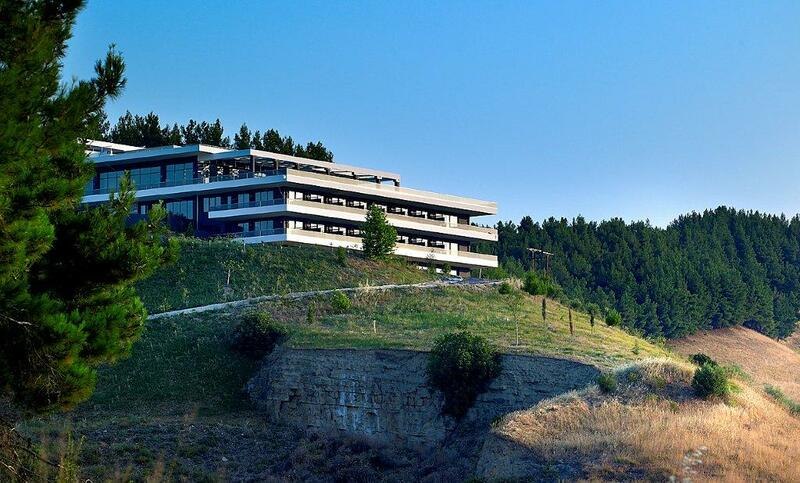 Its key location on a hillside and at the outskirts of the town of Trikala, accords it with uninhibited and awesome views to the glorious plains of Thessaly. Ananti City Resort is a modern, stylish and luxurious resort that will mainly appeal to its guests for its combination of contemporary facilities and indulgent services, alongside the unbeatable benefit of providing countless choices for outdoor activities. The resort is literally surrounded by some of the most interesting sites of the Greek midlands. At very close proximity, we find the geological phenomenon of the rocks of Meteora with the impressive monasteries, the stunning Plastira lake which is worthy of your visit especially for a rejuvenating walk, the naturally blessed area of Elati and the picturesque village of Pertouli. Its swimming pool impresses as it boldly balances its positioning upon the hillside, while, its architectural style manifests the perfect equilibrium between minimalism and modernity. If you wish to further enrich your getaway with ounces of relaxation, then visiting the resort’s spa and the indoor swimming pool will fulfill your wishes. 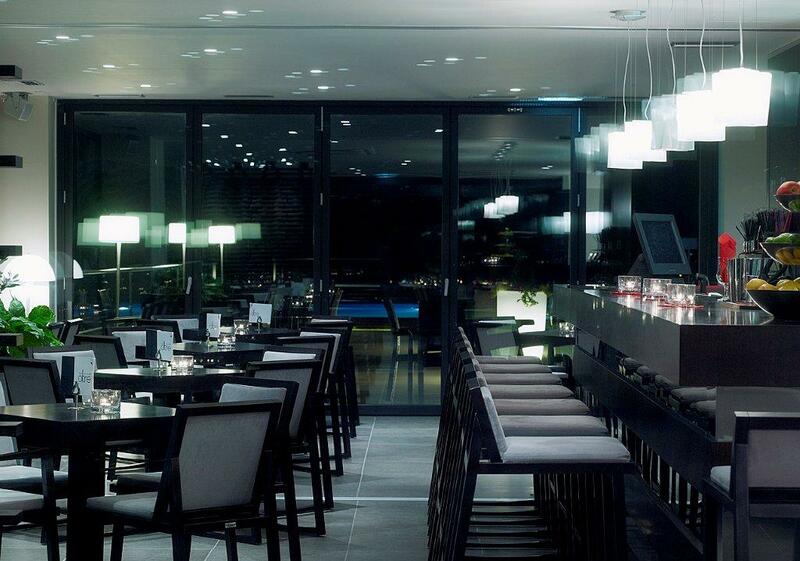 Gastronomy wise, the resort embodies an Italian restaurant at the roof garden for both lunch and dinner and, in addition, a coffee bar serving exquisite coffees and snacks during the day. For your relaxation and absolute privacy, Ananti Resort provides a choice of 18 rooms in total, 3 of which are suites. 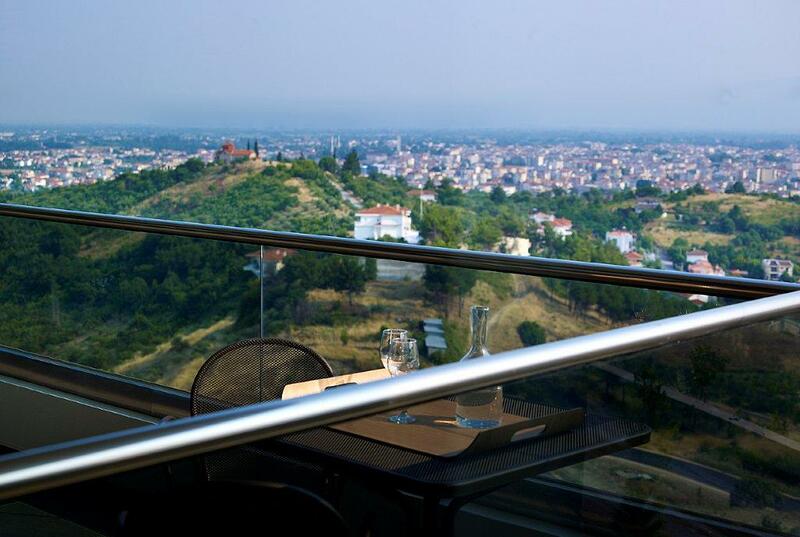 For your entertainment within the complex, all you have to do is visit the top floor where Oltre Bar and the restaurant boast stunning views of the whole of Trikala and already constitute a trendy hot spot for the area at large. Ananti City Resort was rewarded as one of top 10 5 star hotels in Greece for 2018, by the hotel search engine, trivago. Litheos is one of the four rivers of Trikala and it originates from the Antichasia Mountains and flows into Peneos. Subscribe now and be the first to receive our greatest offers! 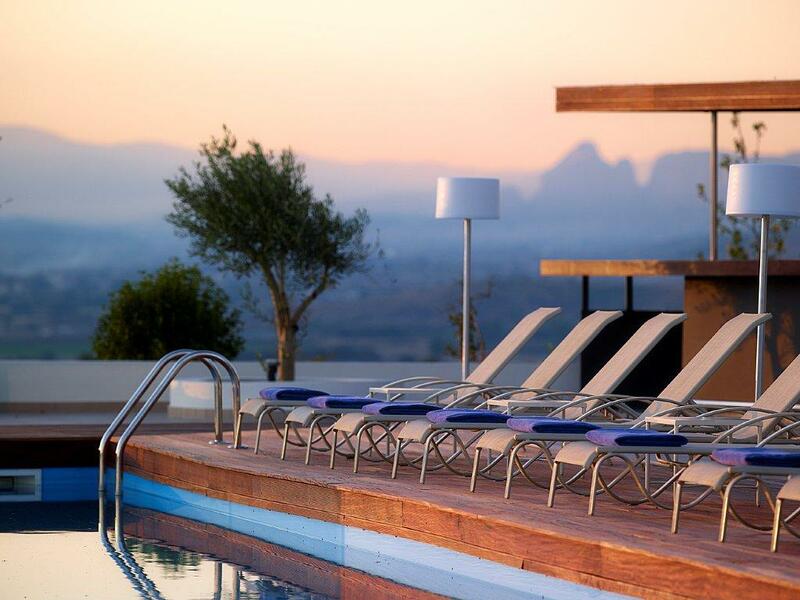 dive in a world of exclusivities and free upgrades by earning points with every stay. with discounts up to 30% from our Loyalty Club.